These are high quality updated replacement Inner/Outer Tie Rod End Kits made by Meyle. 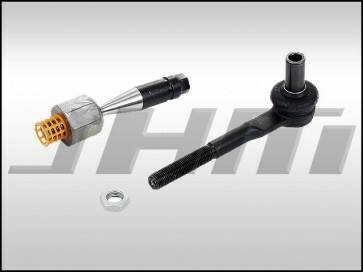 This includes the inner tie rod end and the outer tie rod end as a complete kit. The Meyle HD outer tie rods are upgraded metal, stock is rubber. NOTE: 2 required per car if you need both make sure to change qty to 2 during checkout.